Land steward Allene Smith’s connection to outdoor spaces runs deep, tracing back to her childhood in rural Michigan. Raised on a llama farm in the state’s Southwest corner, Allene Smith was introduced to the professional field of biology by watching endangered birds and butterflies. Her early relationship to the outdoors has since grown into a full-fledged career in conservation. “It’s hard to grow up close to nature and not to love it,” she says. Since earning a B.S. 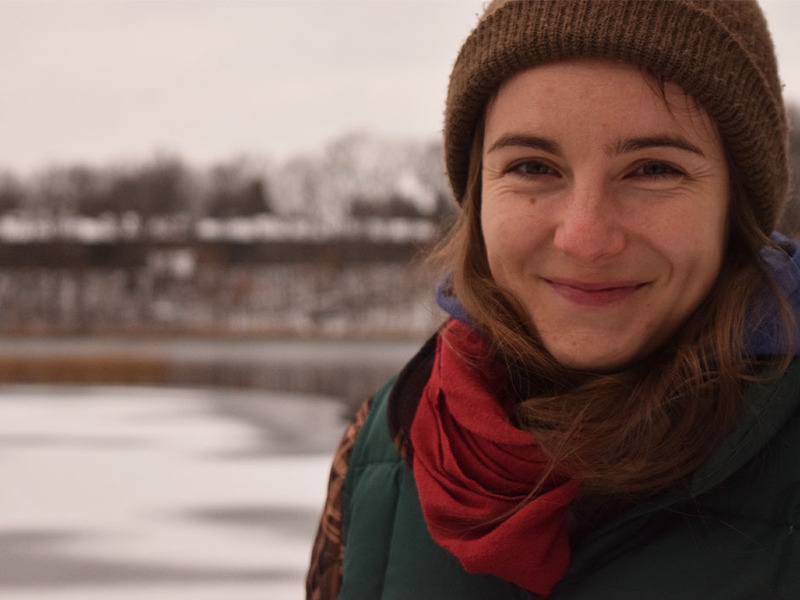 in plant biology from Western Michigan University, she has worked with The Nature Conservancy, MDNR, and the Forest Service. Today she is a land steward for Legacy Land Conservancy, an organization founded in 1971 that works to preserve natural spaces in Southern Michigan, and here Smith has grown to love not only the landscapes she helps manage, but also the community she now calls home. Read on to learn more about her work and the city she calls home. How did your childhood inform your love of nature? I grew up on a llama farm in rural southwest Michigan, and my parents’ 25-acres of woodland and fields was my introduction to the world. I spent a lot of time discovering the wonders of nature: how staghorn sumac had fuzzy, resinous branches, how nettles made my skin all prickly, and how picking wild black raspberries was worth the thorns. It’s hard to grow up close to nature and not to love it. How do you approach conservation specific to your city? Because Ann Arbor is such a conservation-minded city, a lot of action and effort comes out of partnerships among organizations with different but overlapping missions. 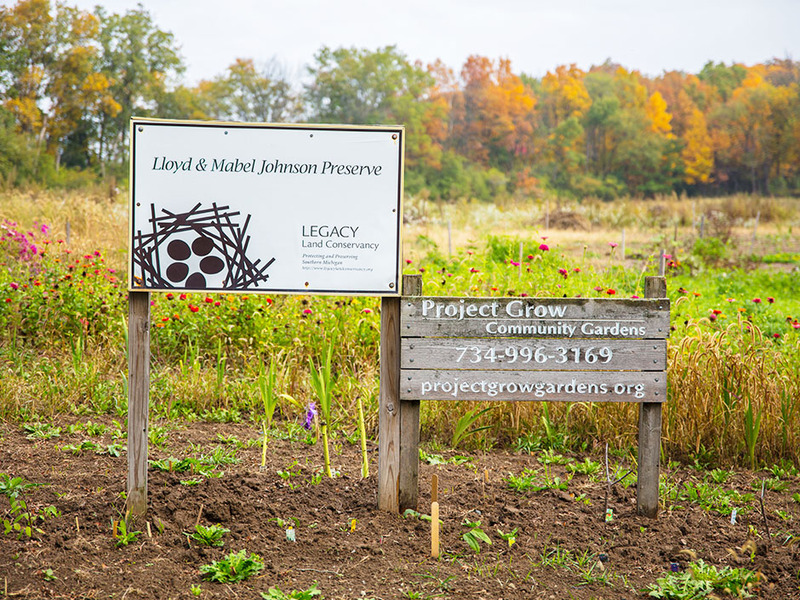 For instance, Legacy’s mission doesn’t include any kind of direct efforts to provide community garden space for Ann Arbor residents, but through a partnership with another organization, Project Grow Community Gardens, about an acre of our Lloyd and Mabel Johnson Preserve is being converted into garden plots. We’re also cultivating a budding relationship with another organization, the Leslie Science & Nature Center, to use our public preserves as sites for some of their outdoor education programs. Many hands make light work, and we’re lucky enough to have many hands on deck. Another element that can’t be ignored is the relationship between the city and the lands and waters that surround it. No urban area is an island, and part of our mission at Legacy is to get folks out and building relationships with the landscapes and waterways that support the place they call home. What is the greatest challenge you face as a conservationist? The deck can feel pretty stacked sometimes in favor of industry/development, and that can feel like trying to fill a bottomless cup at the end of some days. But, at Legacy we like to remind one another that drops in a bucket are not to be negated! Each acre of land conserved and each individual inspired to help advance the mission contributes to what, hopefully, someday, will become a critical mass. The tides can turn; it’ll just take time. How can cities play a bigger role in conservation? How can people in the community help? Many cities, Ann Arbor included, have voted to establish programs that use taxpayer dollars to permanently preserve land in and around their city including both farmland and natural areas. A similar model can be used on a county level, as well. While robust municipal recycling programs and “greening” movements within cities also play a role, a collective choice to support permanent land conservation can help tip the scale away from sprawl and toward functioning ecosystems close to home. People in the community can help by volunteering with conservation organizations in their area, and as I mentioned, in Ann Arbor they span the gamut from outdoor education, to park stewardship, to community gardening. For those who can’t donate time, financial support also plays an integral role both in “keeping the lights on” and advancing the mission of conservation. What’s the most underrated outdoor spot in your city? Legacy’s Lloyd and Mabel Johnson Preserve is just southeast of Ann Arbor city limit, and I consider it a bit of a hidden gem. It’s half woodland and half restored prairie. The woodland is high quality considering it being located in a more industrialized part of the city, with a nice buttonbush swamp at its center. And while the prairie restoration is relatively new, it’s already attracting more pollinators and birds. I don’t often see people out there, but it’s one of my favorite hikes close to town. I love working with volunteer groups on Legacy’s preserves. Field work is a really unique time to get to know people; the fresh air and physical activity, along with the good feels that come along with volunteering, make for lively conversation and just an all around good time. Tied for first place, though, is just being outside in southeast Michigan’s diverse landscapes. This interview is from our special edition outdoors print issue in collaboration with Graduate Hotels.